Natron is one of those open source tools that only does one thing, but it does it really, really well. In this case it is compositing, i.e., allowing a video editor cut out chunks of background (be it with a colour key or select tool), apply effects, layer different video clips one upon the other, and more. As Natron is a specialised tool, it comes with a relatively simple interface, which flattens the learning curve out considerably. Even so, if your new to this sort thing, you would be recommended to read up on what compositing involves so you have a clear idea of what you can expect fromÂ Natron and become familiar with the jargon. 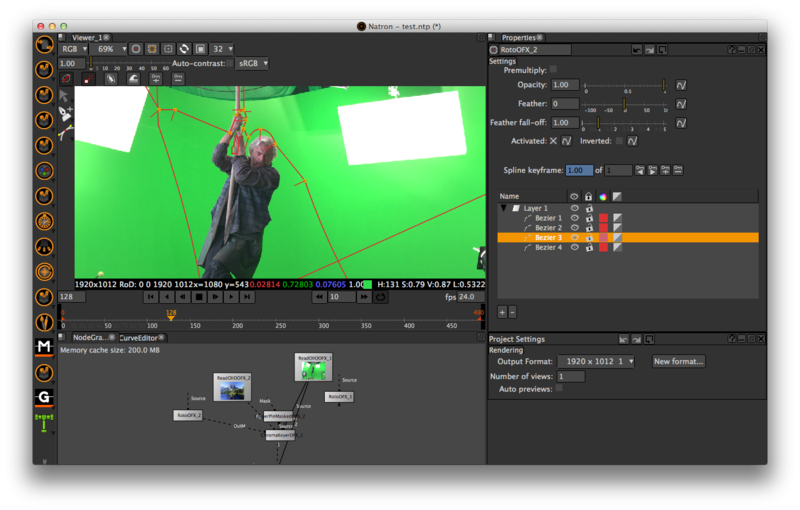 Natron takes its cue from Nuke, an application used widely in the film industry. 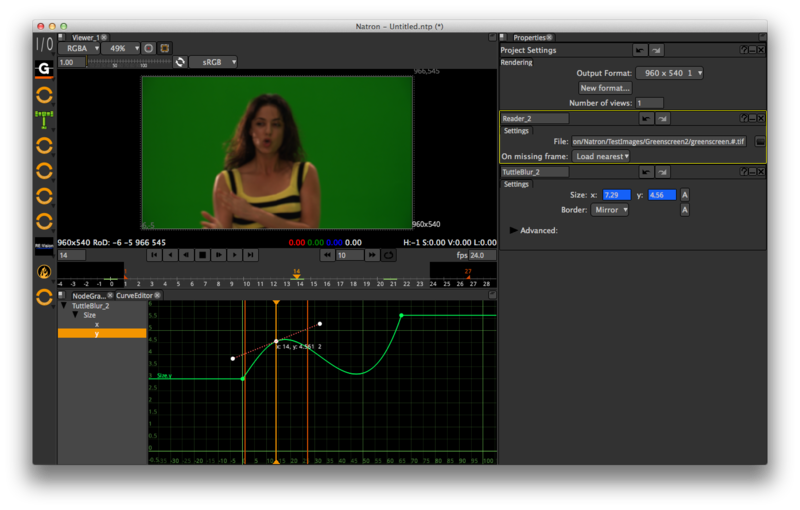 It has a similar layout and uses the same concept of nodes to pile on effects to the original footage. The parameters for each node can then be modified independently to tweak the output. As the nodes are independent from each other and from the original footage, you can remove them and the original film will be unaffected. When you are happy with the results, you render the whole thing to a new clip. You can then use the clip in your project. Natron is a young project, so the documentation and tutorials are a bit sparse at the moment. However you can learn the basic techniques of compositing with Natron by reading up about Nuke. Despite its youth, Natron is designed to be modular, and plugins are being developed continuously by a growing group of enthusiastic programmers. Every new version the project releases is stabler and has a larger catalogue of functionalities and effects than the prior. Whether you’re editing your indie movie, need to add some pizzazz to your corporate presentation flick, or just want to stun your family with cool effects in your holiday video, Natron has got you covered. If you’re also interested in a non-linear video editor (the program you would use to link together the clips you create with Natron), you may be interested in Kdenlive, OpenShot, PiTiVi and VirtualDUB. Kdenlive is available for Linux and MacOS X, OpenShot is available for Linux and also as a live DVD (you can use it without installing), PiTiVi is available for Linux, and VirtualDUB is available for Windows. If your looking for something that combines a bit of both, you can try luck with Cinelerra. But be advised that Cinelerra is a different beast altogether and can be overwhelming for newcomers. All programs mentioned in this post are free and open sourced software and distributed under generous licensing terms.